This is an installation by artist Matthew Hoffman called “Over And Over”. 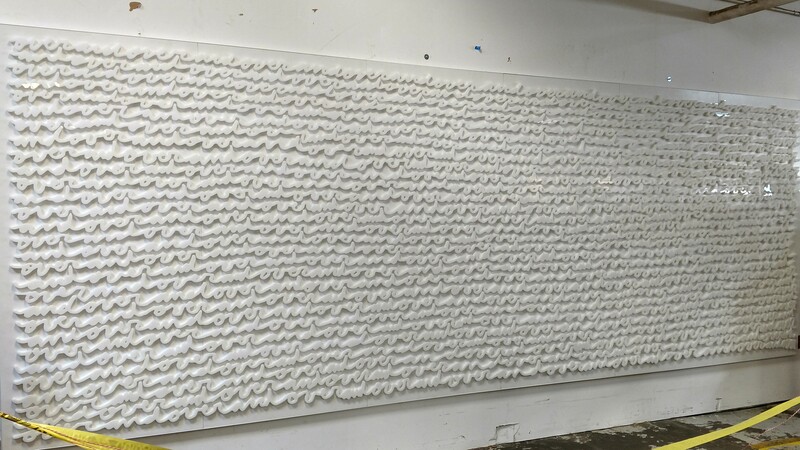 Each one of the artist’s hand-written phrases was unique so we had to determine how break them apart to create six individual panels. 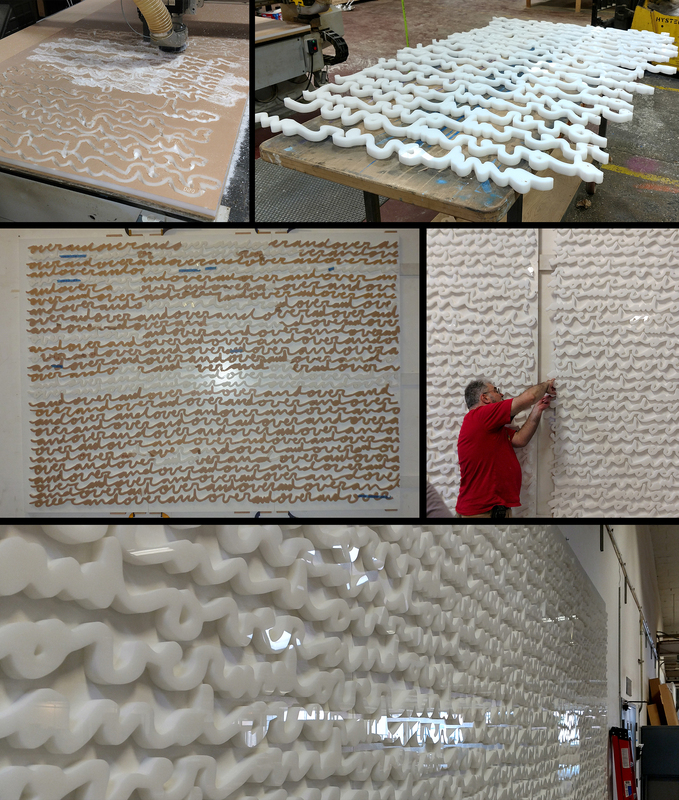 We then cut each individual phrase on our CNC router out of one-inch milk white acrylic plastic then seamlessly reconnected them into one large 22’ by 8’ wall panel. This piece is installed at the Marriott Marquis Chicago near McCormick Place.